You can swap axes by this function. 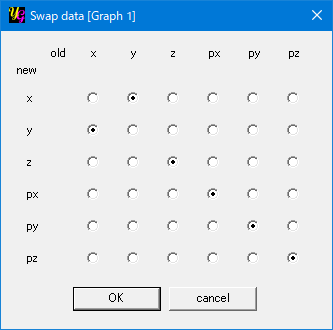 The "Swap data" window opens by clicking this button. You simply click one of radio-buttons to swap, for example, x- and y-axes data.